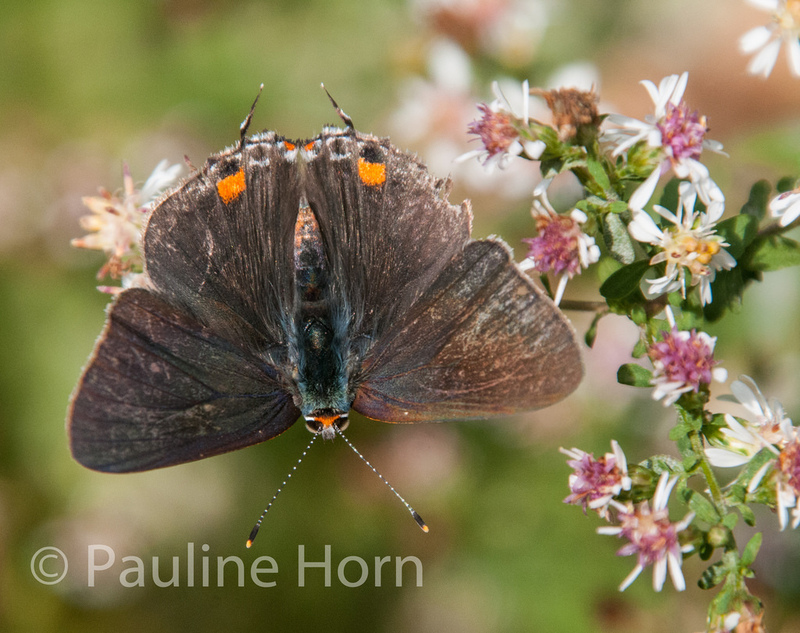 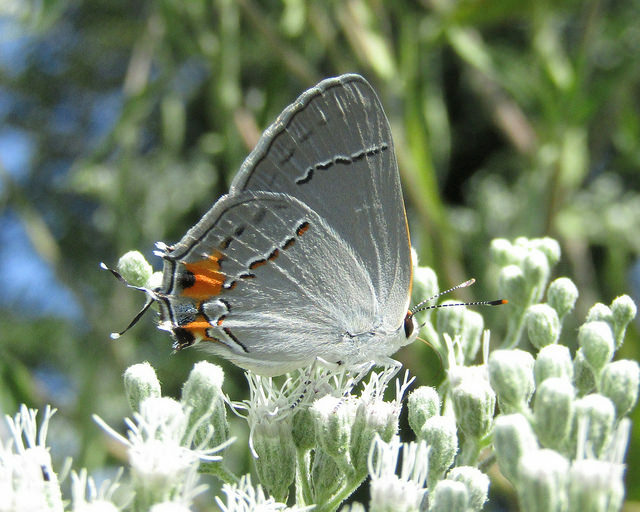 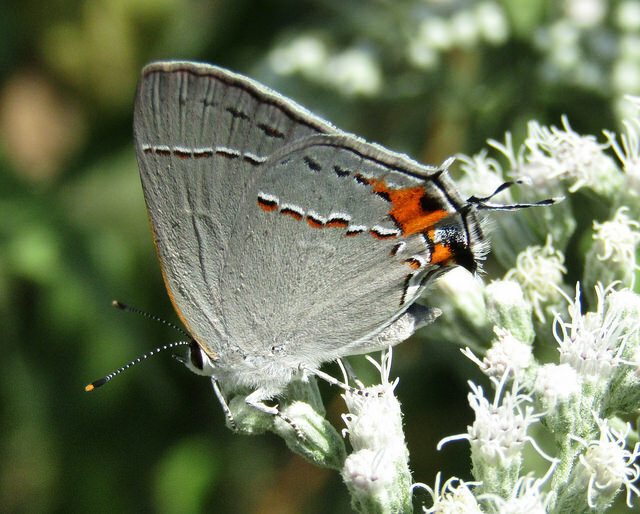 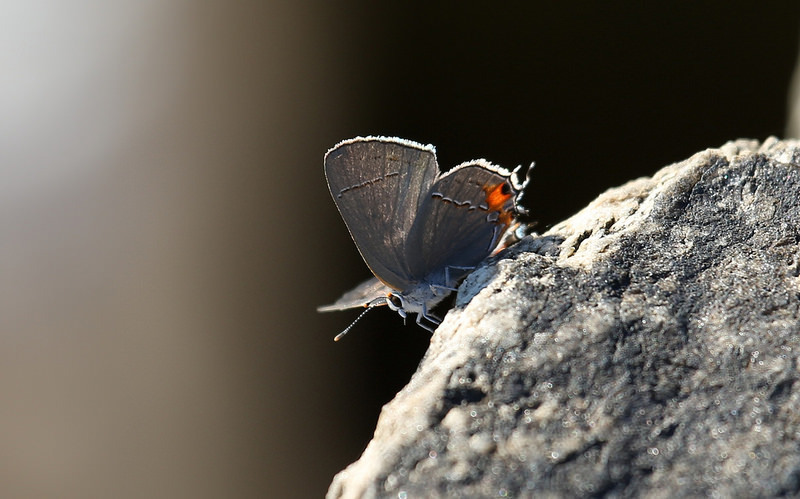 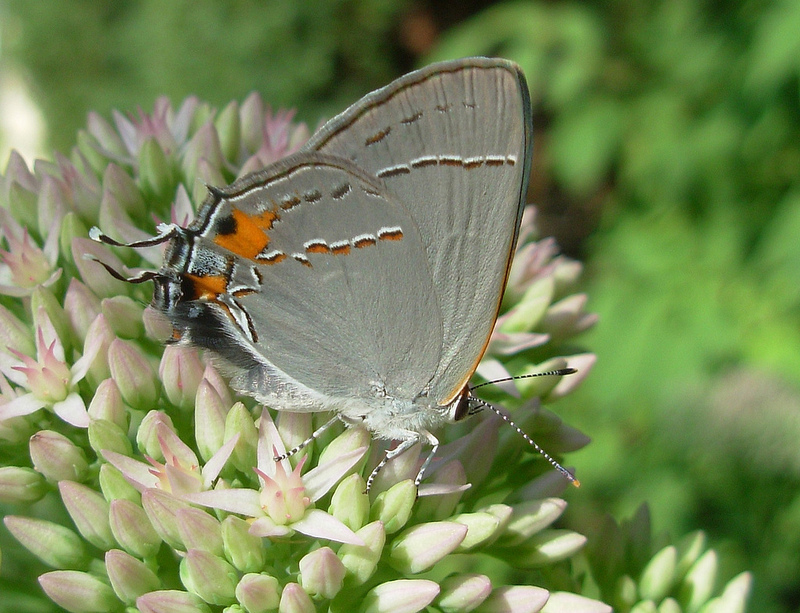 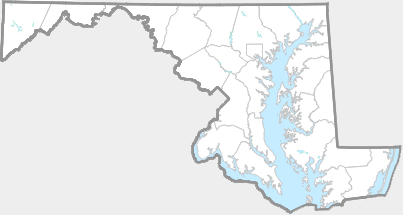 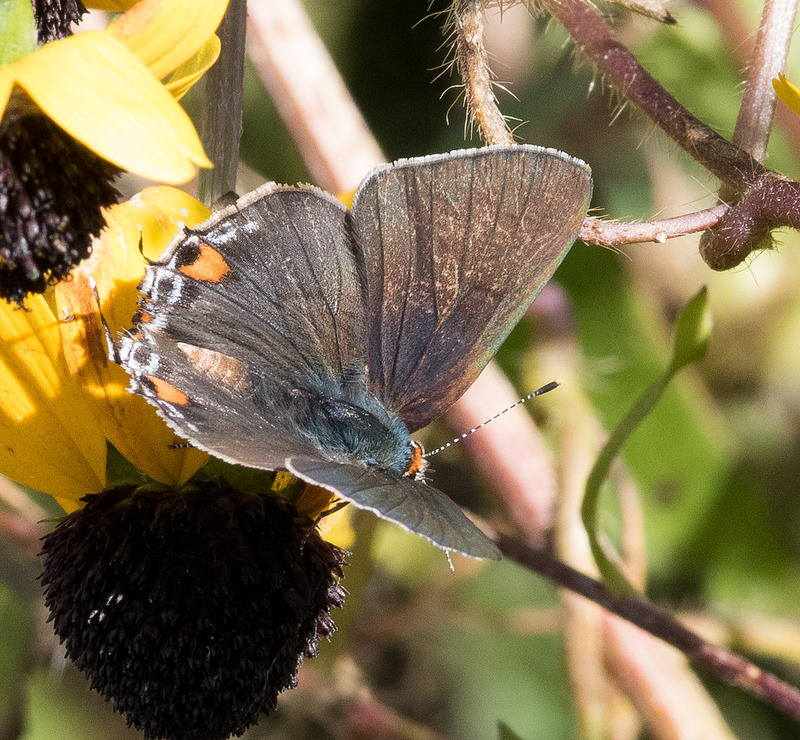 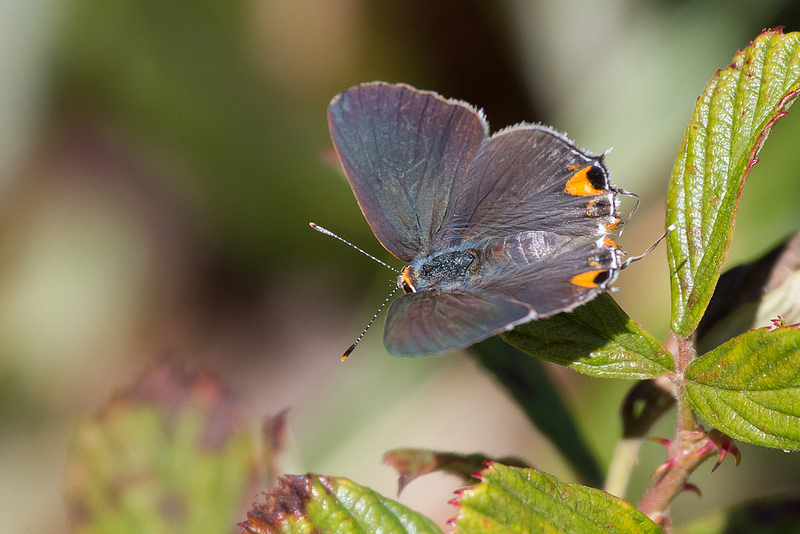 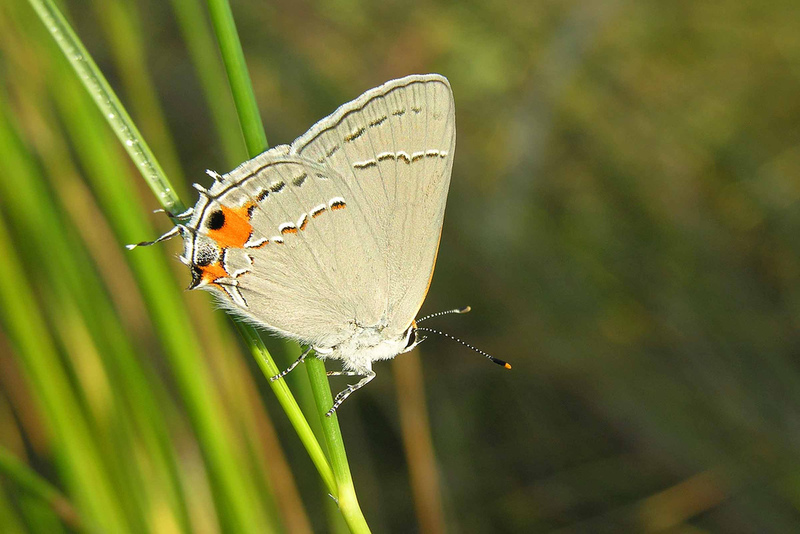 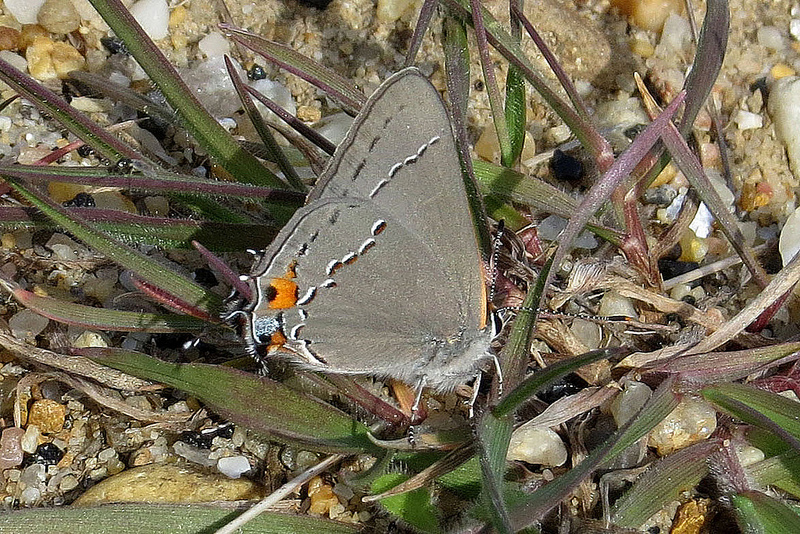 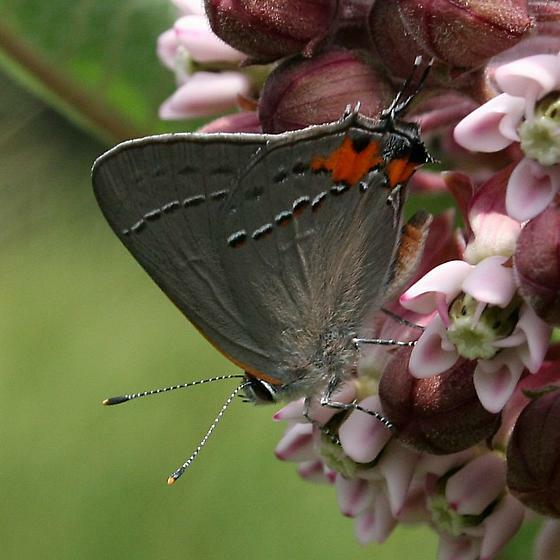 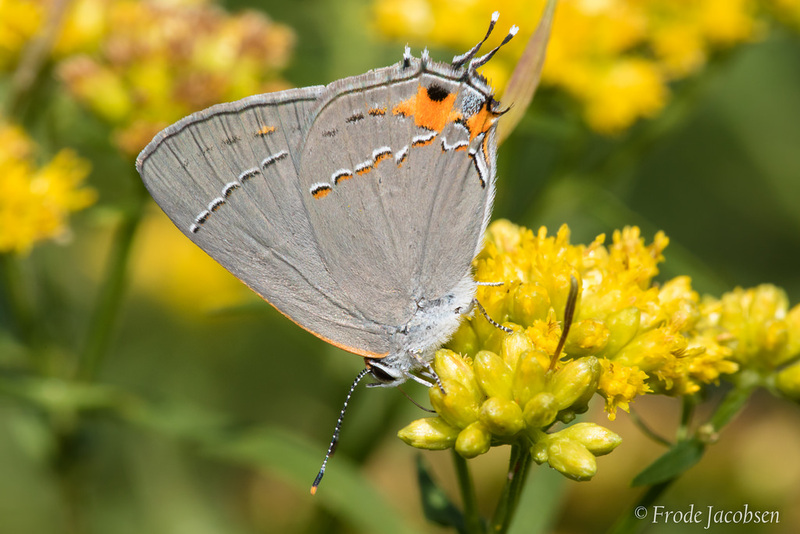 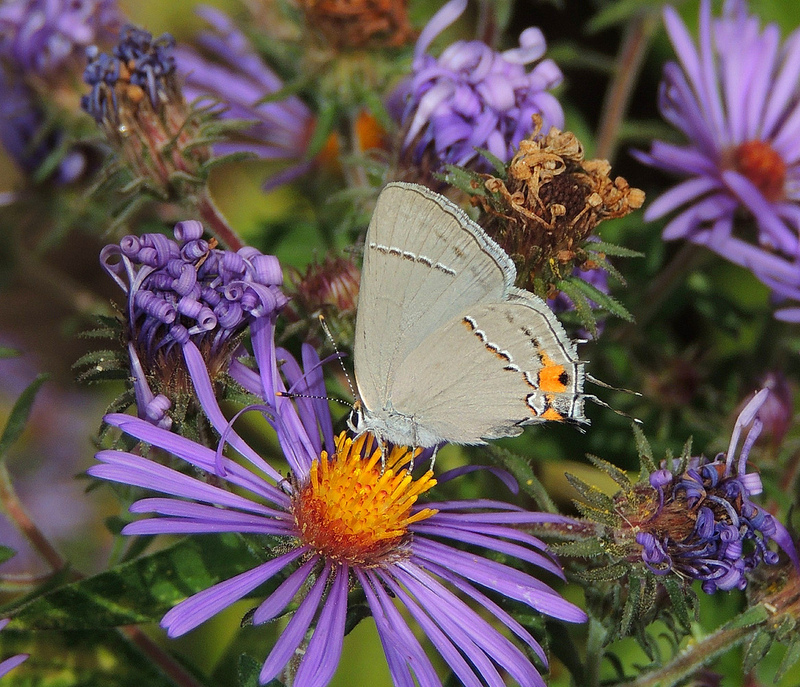 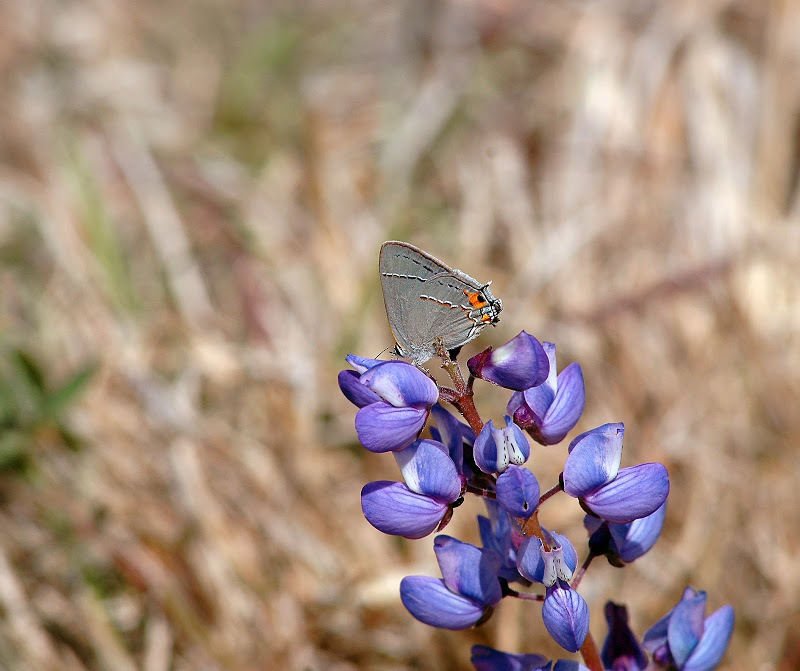 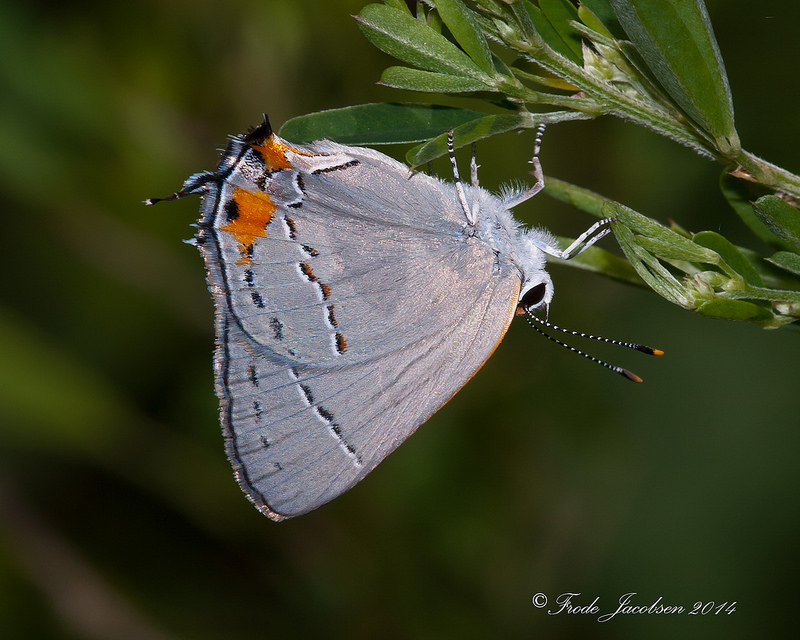 Gray Hairstreak (Strymon melinus) is probably the most widespread and familiar species of hairstreak in the east, and it ranges across Maryland. 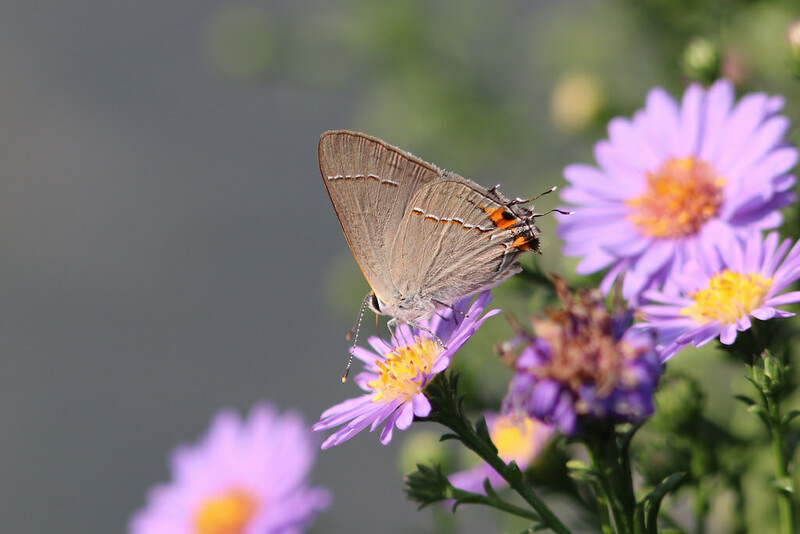 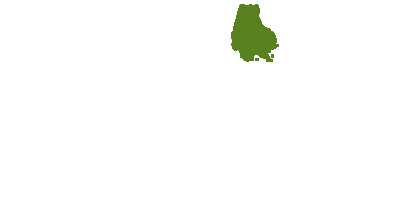 This generalist species can be found in a wide variety of habitats, from fields and deciduous woods, even urban parks or yards. 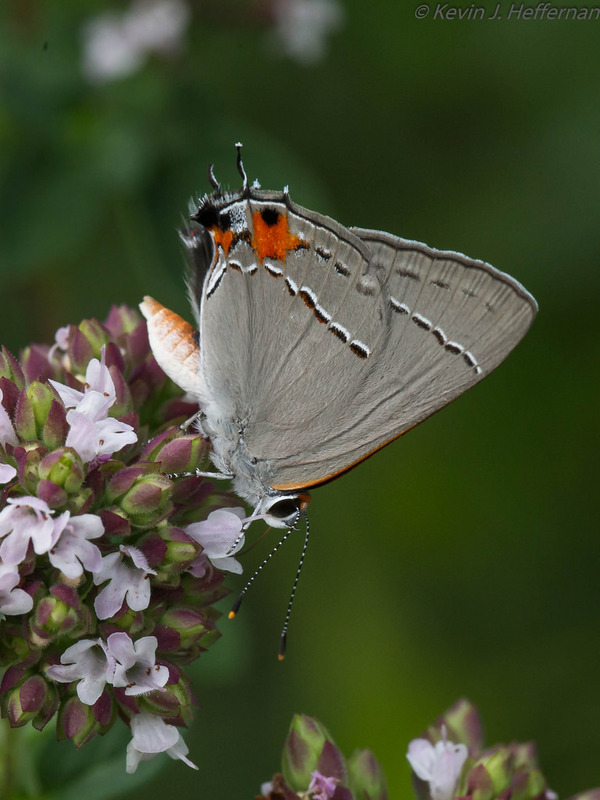 It is multi-brooded, and flies from late April to early October in Maryland (Butterflies of Maryland: A Biological Summary and Checklist by Lynn Davidson & Richard Smith). 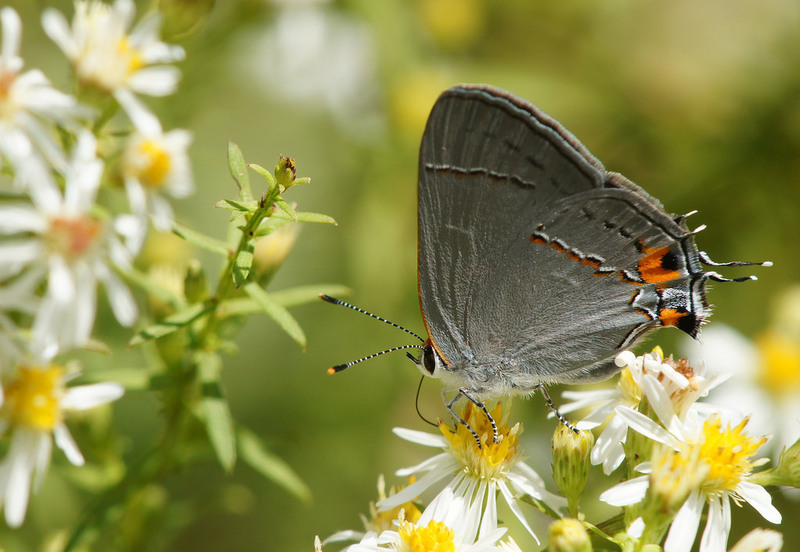 This species commonly visits flowers, and this can be a reliable way to locate this butterfly. 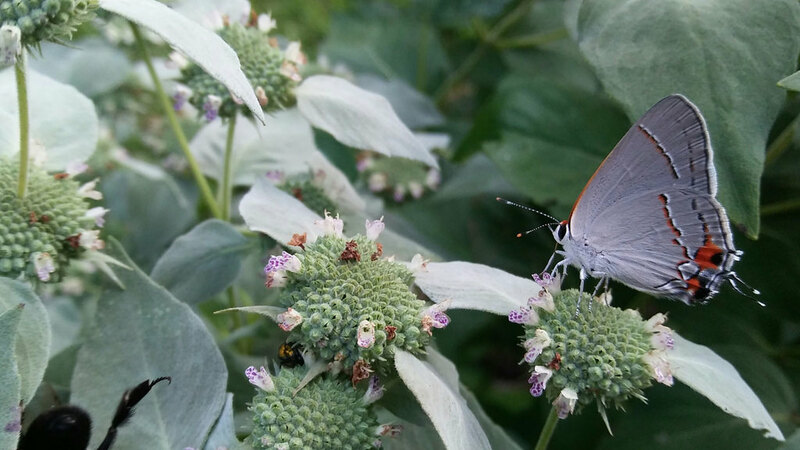 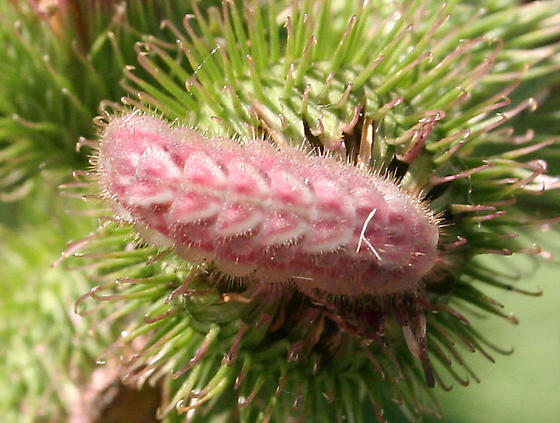 Will utilize a wide variety of plants as larval hosts, including various legumes (Fabaceae), such as bush clovers (, tick-trefoils (Desmodium, clovers (Trifolium), and vetches (Vicia), as well as members of the mallow family (Malvaceae), like Malva species (Allen, 1997). 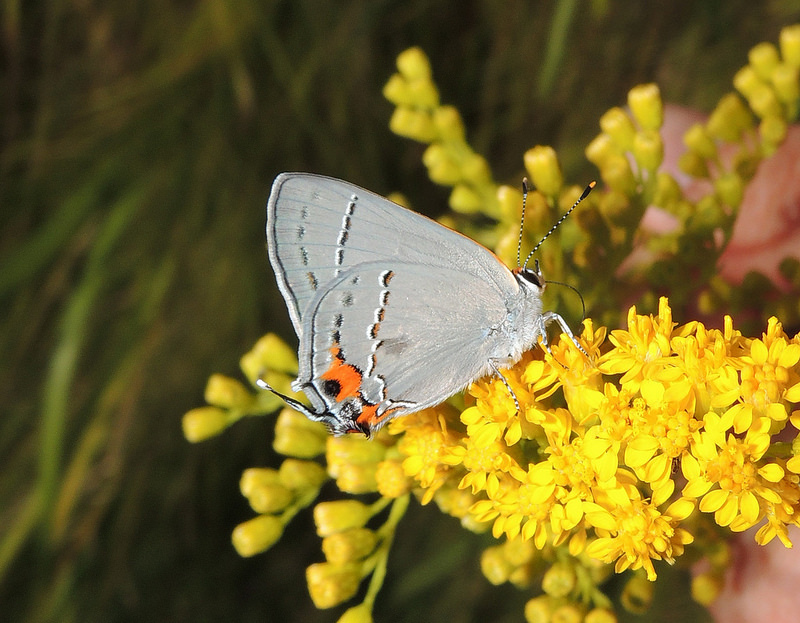 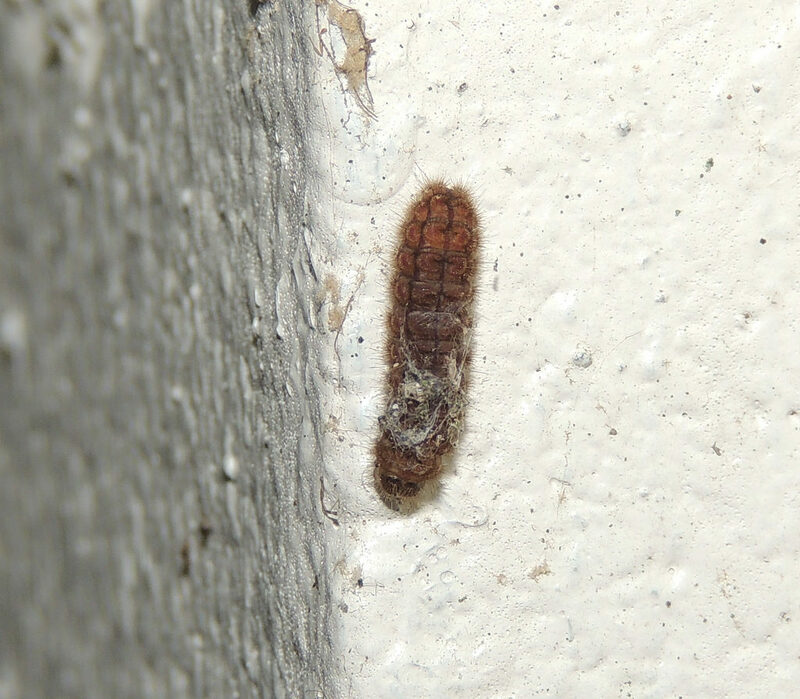 The species has been recorded from well over one hundred species of host plants across a large range of families (Database of the World's Lepidopteran Hostplants). 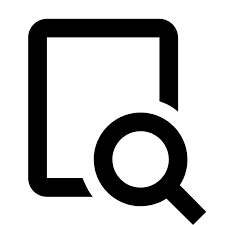 There are 352 records in the project database.